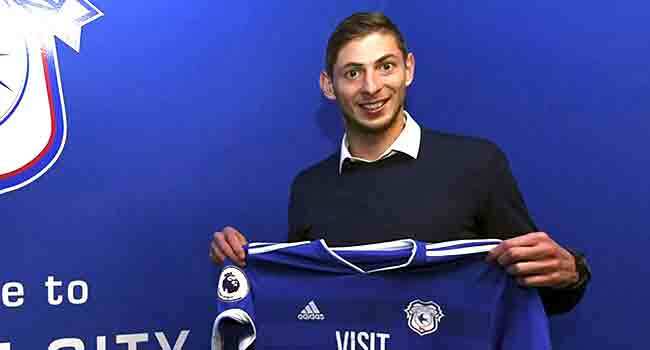 On Thursday, it was confirmed that a body recovered by British investigators from the submerged wreckage of a plane that went down in the Channel was that of footballer Emiliano Sala. The 28-year-old had agreed to leave Nantes in France for Cardiff in the Premier League for a reported £15 million (17 million euros; $19.3 million) last month. “For me it feels special,” the 1.87m-tall Argentine forward had said of his new career. That is because, like many talented young footballers in Argentina, Sala left for Europe at such a young age. Despite Sala’s importance to Nantes, he was keen to move on, and club president Waldemar Kita was keen to cash in on a player whose contract was due to expire in 2020. Having finally put pen to paper on his move to Cardiff, Sala was back at Nantes’ Joneliere training base to collect his belongings and wave goodbye to his former teammates before departing for Wales again on what proved to be his doomed flight.